To create young entrepreneurs of the future by teaching learners how to solve real world problems and challenges through the development of professional, relevant, commercial and educational applications for the global market, using the Apple ecosystem in a sustainable school based incubator. Parklands College runs numerous programmes to develop entrepreneurial and real world skills in its learners. Our Mobile Application Development (MAD) incubator houses one of these programmes and teaches learners how to research and identify a need in a market, come up with ideas for an application to address the need, develop the application, release the application on the Apple iTunes application store and finally to market it. As an Apple school we have chosen SWIFT and the iTunes App store platform. Parklands College Learners Release Simple Learning Time on the iTunes App Store. Two Parklands College learners, Stephan Cilliers and Luke Bowles have developed an app called Simple Learning Time in collaboration with two Junior Preparatory teachers in order to help teach Grade one to three learners how to tell the time. The teachers requested this App when the application they were using disappeared from the App Store.  Parklands College runs numerous programmes to develop entrepreneurial and real world skills in its learners. Our Mobile Application Development incubator houses one of these programmes and teaches learners how to research and identify a need in a market, come up with ideas for an app to address the need, develop the app, release the app on the Apple iTunes application store and finally to market it. This is part of a Parklands College and Christopher Robin Pre-Primary initiative to teach learners how to solve real world problems and challenges by developing relevant commercial and educational applications for the South African market. 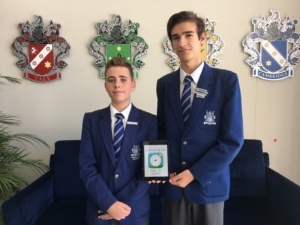 Parklands College learners (L-R), Luke Bowles and Stephan Cilliers have developed an analogue and digital time application called, Simple Learning Time, to teach learners how to tell the time. It is going to be used by our grade one to four learners. The free app is available for iPad on the iTunes App Store. Parklands College Learners Release Afrikaans Simple Learning App on the Apple App Store. This programme teaches our learners how to research and identify a need in a market, come up with ideas for an app to address the need, develop the app and release the app on the Apple application store and finally to market it. 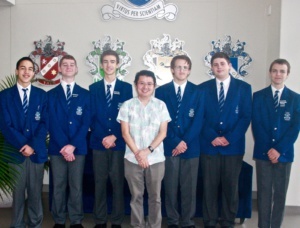 Six of our learners (L-R) , Findlay Smith, Hendrik Smuts, Stephan Cilliers, Adam Knoesen, Dylan van Heerden, Emile Tredoux, under the guidance of Dr. Jakkaphan Tanguampien (centre) identified the need for a basic Afrikaans sound board app that teaches vocabulary and pronunciation of a word. The free app called, Afrikaans Simple Learning, is currently being used in Parklands College grade one classes. Future plans include increasing the number of words being taught in the application as well as developing other educational titles such as Simple Learning Maths. This is part of a Parklands College and Christopher Robin Pre-Primary initiative to teach our learners how to develop relevant commercial and educational applications for the South African market. Parklands College Learner Creates “Safer Web” App to Provide Safer Internet Browsing for Children. Stephan Cilliers, a Grade 11 Parklands College learner has developed an iPad app called “Safer Web” that provides a safer web browsing environment for children. He developed the app after the Preparatory Faculty staff raised concerns about what learners can encounter on the Internet at home when web filtering tools were not in place. The goal of the app is to provide a safe environment for younger children to explore the web while providing peace of mind for teachers and parents. Safer Web is a free wrapper app that makes the online kid safe search engine, Kiddle, its home page. The app ensures safe browsing by blocking any web searches, websites or adverts that match any restricted keywords identified when following links that take out of Kiddle. Safer Web does not allow you to type a website address directly into it and you can only follow links deemed safe by the search engine and restricted keyword list.